Garcinia cambogia, also known as Malabar tamarind, is a fruit-bearing tree native to South Asia. The rind of the fruit contains hydroxycitric acid (HCA) and has been used for centuries as a traditional remedy for a number of illnesses. More recently, HCA has been marketed as a weight-loss supplement. Several studies have focused on the effect of HCA on weight control and obesity, while others have focused on its effects on type 2 diabetes mellitus (T2DM). Additional research is needed before recommendations can be made about the use of Garcinia cambogia for people with T2DM. 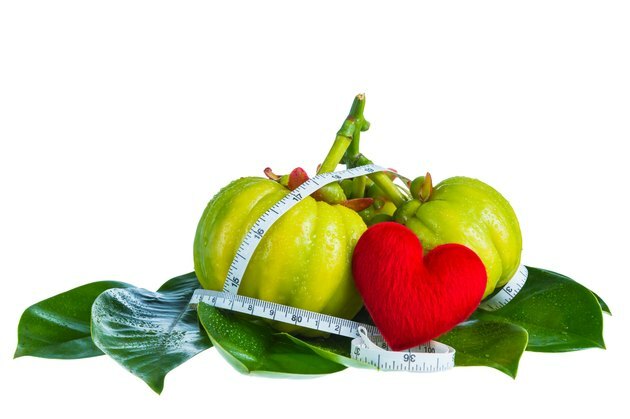 The effects of Garcinia cambogia (GC) on blood sugar have been studied in rodents. For example, a June 2005 article in the "American Journal of Physiology: Gastrointestinal and Liver Physiology" examined the effects of HCA -- a dose 5 times higher than recommended in humans -- on absorption of glucose, or blood sugar, in rats. The authors reported that rats supplemented with HCA and fed glucose 2 hours later had slower glucose absorption and lower peak blood sugar compared to rats that did not receive HCA. More recently, an article published in the July-September 2010 issue of the "Journal of Young Pharmacists" found that diabetic mice fed an extract of Garcinia indica rind for 4 weeks had decreased blood sugar both when fasting and after a meal. Although GC and Garcinia indica are similar, they are not identical, so these results may not be applicable to GC. More research is needed to determine if the blood sugar effects of GC in rodents are also seen in people with T2DM. The effect of GC on insulin levels has also been studied in rodents. An April 2003 "Fitoterapia" article examined the effects of GC rind extract on blood sugar and insulin levels in mice fed a high-sugar diet for 4 weeks. Mice supplemented with GC rind extract had lower insulin levels than did those not receiving the supplement. However, blood sugar levels were not affected. Another study published in the October 2007 issue of "Molecular and Cellular Biochemistry" evaluated the effects of 7 weeks of HCA supplementation on diabetic rats. Compared to rats that did not receive the supplement, those fed the HCA supplement had lower fasting insulin and blood sugar levels. They also did not develop insulin resistance, a typical characteristic of diabetic rats. However, this may have been related to decreased food intake and lower body weight rather than HCA supplementation. Large-scale studies are necessary to determine how these findings translate to people with T2DM. The October 2007 "Molecular and Cellular Biochemistry" study also examined the effects of HCA supplementation on body-wide inflammation, which plays a role in the development of insulin resistance, prediabetes and T2DM. Rats fed the HCA supplement showed lower blood levels of inflammatory proteins compared to rats that did not receive the supplement. However, more recent research on obesity-prone mice fed a high-fat diet for 16 weeks found an association between GC supplementation and markers of liver inflammation, as reported in August 2013 in the "World Journal of Gastroenterology." This finding is important as fatty liver disease is common in people with diabetes. More research is needed, both to better understand these results and to study the effects in people with T2DM. Animal and human research studies have examined the effects of GC on weight loss and obesity, a risk factor for T2DM. Animal studies suggest that HCA is associated with weight loss. However, human research is less definitive. The pooled results from 9 studies involving more than 450 overweight or obese adults was published in the December 2010 issue of the "Journal of Obesity." The researchers found that people taking an HCA supplement daily for 2 to 3 months lost about 2 pounds more than people not taking HCA. However, the authors noted that all of the studies included in the analysis had flaws in research design or reporting. They also questioned the practical relevance of such a small effect. An August 2013 review article published in "Evidence-Based Complementary and Alternative Medicine" reported much more mixed results. Of the 22 studies included in the review, almost half reported no significant anti-obesity effects. People with diabetes are at high risk for heart disease, due to both high blood sugar and abnormal blood fat levels. Several studies have investigated the effect of GC on blood fats, but the results are inconclusive. For example a September 2008 article published in "Phytotherapy Research" reported that when 58 obese people took a GC supplement prior to each meal for 12 weeks, they experienced a significant decrease in both total cholesterol and low-density lipoprotein, or "bad" cholesterol. However, along with GC, participants also took Amorphophallus konja supplements, which are believed to reduce absorption of dietary fat. So it is uncertain if the same effect would have been seen with GC alone. In contrast, a June 2008 article published in "Fitoterapia" found no significant effect on blood fats when normal, overweight and obese people took a GC supplement for 12 weeks. Side effects associated with GC are uncommon and typically mild. Reported side effects include headache, dizziness, dry mouth, nausea and diarrhea. However, there have been some reports linking HCA to liver damage, both in mice fed high-fat diets plus HCA and in humans taking weight-loss supplements containing GC extract. The supplement can also alter the effects of other medications, such as statins (Crestor, Lipitor, Zocor) or blood thinners (Coumadin, Plavix, Xarelto). While some animal studies suggest that GC might have a beneficial effect on blood sugar and insulin, human studies must be conducted to determine whether these effects are seen in people with T2DM. The role of HCA as a weight-loss aid has yet to be proved definitively, and larger studies involving people with T2DM are needed. Be sure to check with your healthcare provider before taking GC or any other nutritional supplement, and keep in mind that GC use has not been studied in pregnant or breastfeeding women.